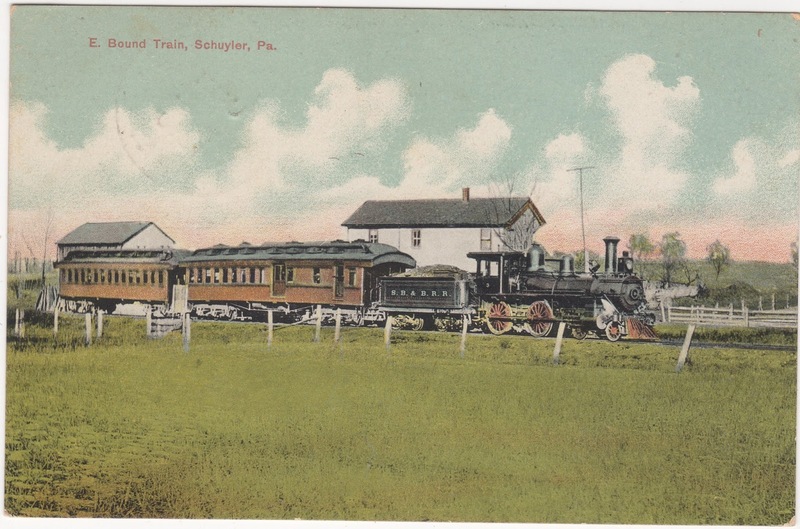 This is a scene of an eastbound train of the Susquehanna, Bloomsburg & Berwick Railroad at Schuyler, Pa., about 1910. It was nicknamed the “Sweet By and By” or the “Weak and Weary” Railroad. 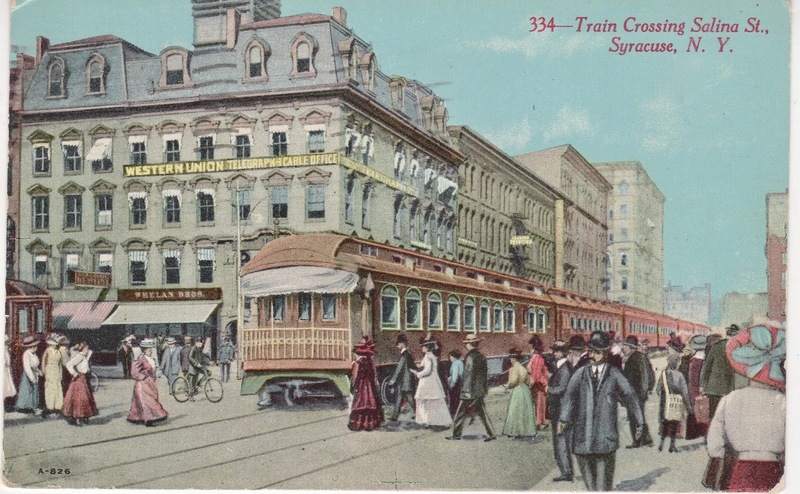 It was 39.22 miles long with 3.51 miles of branches and was built as the Wilkes-Barre and Western Railway and over the years had numerous names. 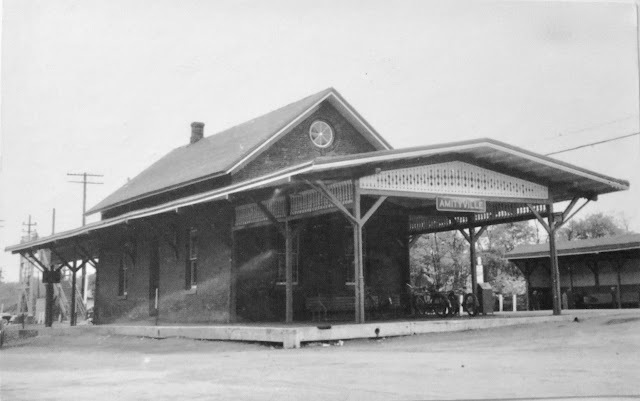 It was opened in 1891was absorbed into the Pennsylvania Railroad in 1918. A portion of it still exists between Washingtonville and Watsontown.